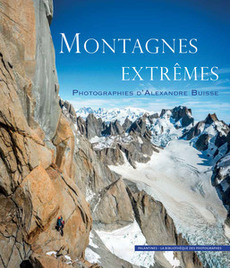 Montagnes Extrêmes is a coffee table book of my action and landscape photographs. It is published by the French company Palantines and was released in October 2013. It is the most complete and up to date print collection of my photography at the moment, featuring some 200 images. Text is in French but limited to a foreword and short captions for each image, so international readers should be able to enjoy the book nearly as much as French speakers. 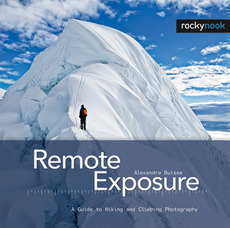 Remote Exposure was my first book, published in 2011 by Rocky Nook. It deals with both the technical and the artistic sides of mountain photography. It was written for photo enthusiasts, trekkers and climbers who want to bring home better images from their trips. As photographers our image files are our art and our most valued and important assets; understanding how to edit them down quickly, and store them safely, and find them reliably, isn't a luxury, it's a key part of our craft. 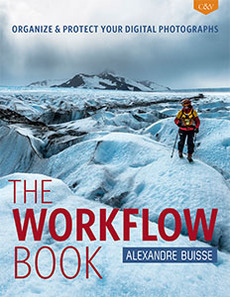 The Workflow Book will teach you how to ingest, organize, edit, and protect your photographs, and because it's written by someone who'd rather be out in the mountains making more photographs than sitting in front of his laptop, it's pragmatic and straight forward. 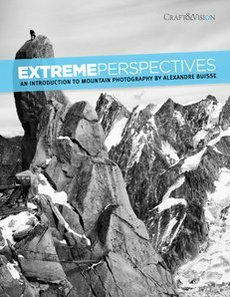 Extreme Perspectives covers what I think are the essentials of mountain photography and examines 15 of my favourite images, detailing why I think they work or not and what the stories behind them are.